This next car comes as a tip from Art C who writes: Haha, a Nibaru? Sussan? Any way you put it, I bet it'll be fast and very sideways with a little work. 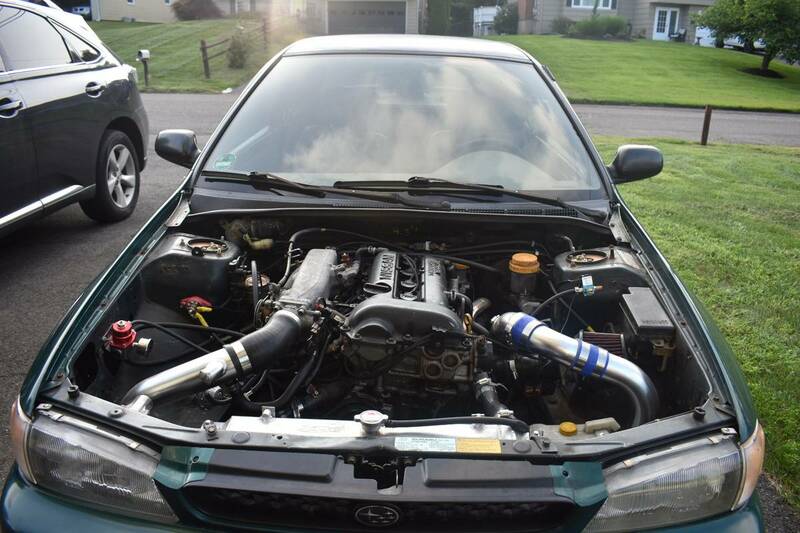 Assume around 275whp with the SR20 at reasonable boost levels, and about 2700 lbs on the GC8 with the AWD hardware removed, and probably pretty close to 50/50 weight distribution and you have a nice track toy. 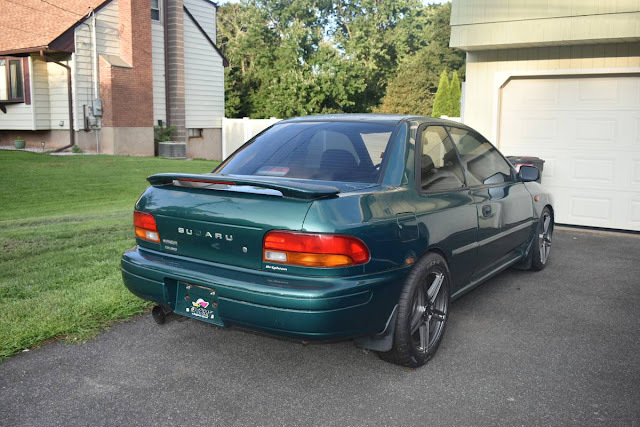 Find this 1997 Subaru Impreza offered for $5000 in Hartford, CT via craigslist. All parts were bought from Enjuku Racing and 240sxmotoring. I also have a 10 point roll cage, rear knuckles for disc and pad conversion and the head for a VVL swap. The car only needs a little more wiring for some guages and fans and rear brake lines (the rubber hoses not metal) and that's it. The car DOES RUN and the tune is paid for just needs to be finished. Engine swap cars look really cool, but working on someone else's Frankenstein would be a bit much for me. Anybody ever buy an already swapped car? How bad was fixing the problems later? I wonder if the hood is included in the price? Aside from the giant BUT WHY, my question is, if all it needs is a little bit of work to be finished, why don't you finish it before selling?